Wind Chills Cozy Food | Sleeping Kitten-Dancing Dog! The Washington, D.C. metro area is experiencing very cold weather. I listened to the meteorologist @ 5 AM reporting that today, the Arctic clipper could produce around 40 miles per hour winds. Tomorrow morning the entire viewing area and nearby points will wake to sub-zero temperatures. It’s the perfect time to remain at home and safely indoors. Still nurturing our colds I didn’t feel much like cooking so I put together a fresh salad with fruits and warmed up leftovers from last night’s Sweet Onion Pasta. Total prep and cook time was ten minutes. 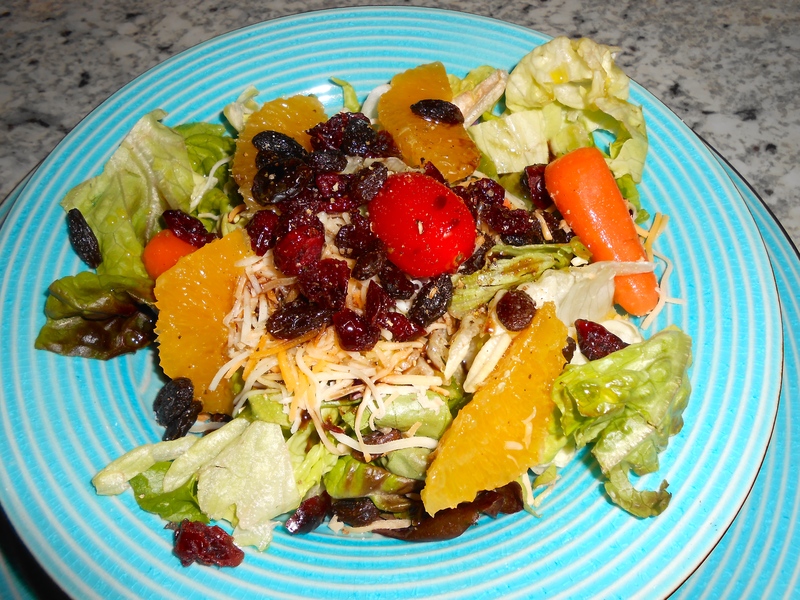 the salad took ten minutes to assemble (made Monday) so all I needed do was to plate, add freshly sectioned naval orange and sprinkle with dried cranberries, raisins and shredded cheese. Copyright © 2015 “Sleeping Kitten – Dancing Dog!” All rights reserved. 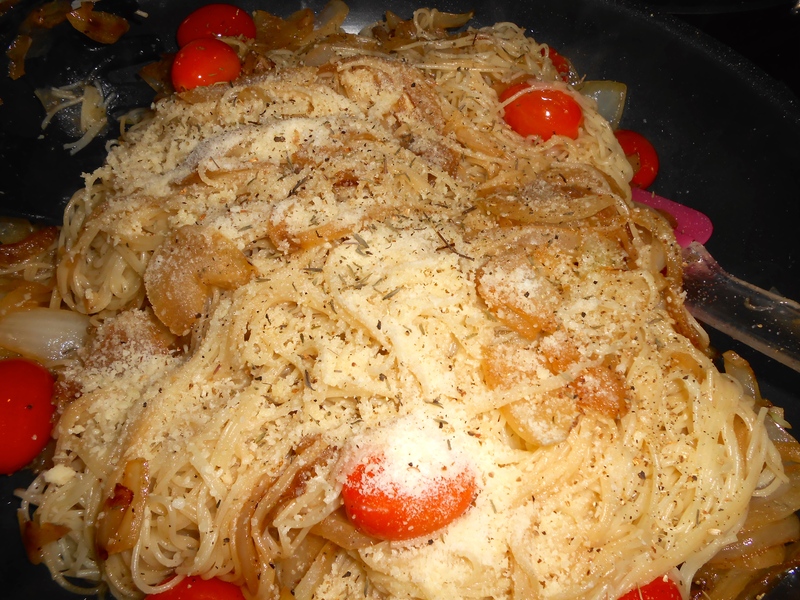 This entry was posted in 2015, Pasta, Salads and tagged fruits, recovering from winter colds, Salads, sweet onion pasta. Bookmark the permalink. 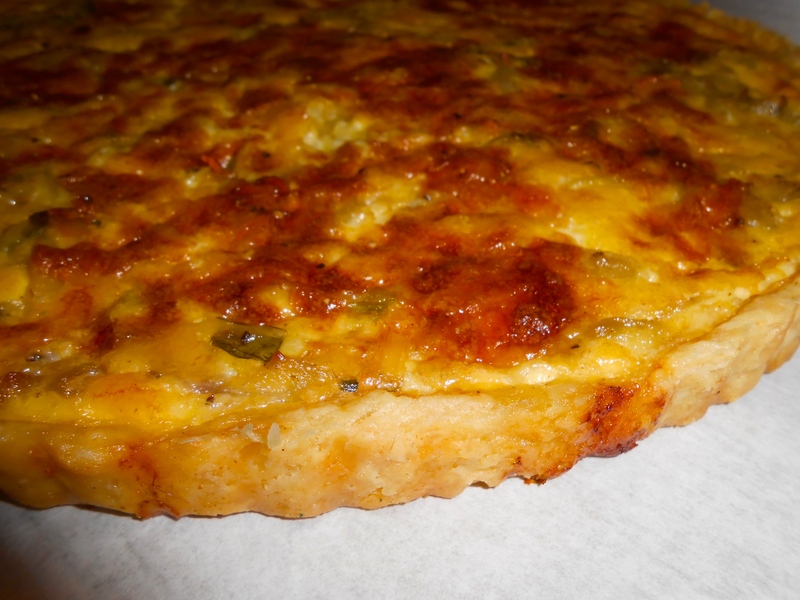 Healthy comfort foods for a cold winter’s night. Feeling warm and full is a blessing. That looks so good. Wish I had some, but the 6,000 mile round trip commute is a bit much for even the most devoted foodie! Feel Better! Still battling the horrid cold. 6K is a bit far I agree.